This compares to just 58 people declared bankrupt last year, with new legislation which came into effect last month expected to cause a ‘significant increase’. SOME 3,000 applications for bankruptcy are expected over the next twelve months, following the commencement of new laws which came into effect from last month. In response to a parliamentary question, Shatter said that when the legislation commenced, there was a total of 189 people who had been declared bankrupt by the courts. Of that number, 73 have been bankrupt for three years or more. These people will be eligible for automatic discharge six months from the 3 December legislation commencement date. In 2013 there were 58 people declared bankrupt in Ireland. 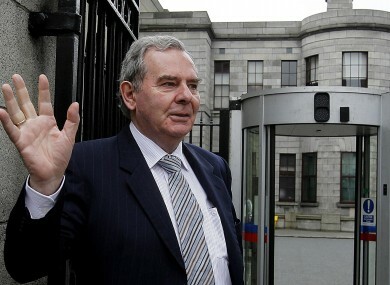 “I am advised that this calendar year, seventeen people were made bankrupt on their own application,” Shatter said. “Five of these self-adjudications were made following the recent amendments to the bankruptcy regime, namely the reduction in the bankruptcy term from 12 years to three”. Given the reduced term, the minister said he anticipated “that there will be a significant increase in the number of bankruptcy applications”. “A tentative estimate of the numbers expected to avail of bankruptcy over the next 12 months is 3,000,” he said. Email “3,000 bankruptcy applications expected in 2014”. Feedback on “3,000 bankruptcy applications expected in 2014”.